Who doesn't want a site tour? The team from left to right: Sylvie, Anaïs, Véronique, Alexia and Marina. 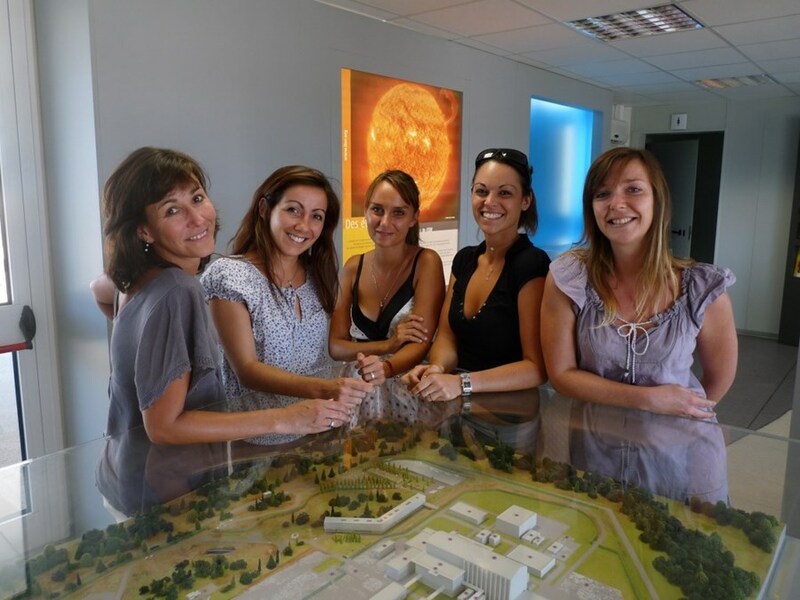 Marina, Alexia, Véronique, Anaïs and Sylvie are part of the newly established "Joint Visit Team" responsible for the organization of visits on the ITER worksite. The team has just moved into its new office in JWS 3. The Joint Visit Team develops visit programs that are adapted to the visitor's or group of visitors' wishes and to the operational constraints on the worksite. In order to provide an even more efficient service, ITER Organization, Agence Iter France and Fusion for Energy (the European Domestic Agency responsible for the construction of 39 buildings and technical areas on the ITER site in Cadarache) have decided to join forces and create this shared structure. The Joint Visit Team is now geared to deal with the thousand-plus visit requests that the three organizations receive every month. For any inquiry or site tour, please contact the new office directly at: + 33 4 42 17 46 92.